Natural supplements for memory often contain vitamins, amino acids, and other natural ingredients. One of the ingredients commonly found in supplements is an amino acid known as acetyl l-carnitine (ALCAR). You will find more information about acetyl l-carnitine supplements, including dosage & side effects, overall effectiveness, and success rates in the product reviews on our website. Before buying supplements for memory enhancement, it is useful to understand the most effective ingredients to help you make the best choice. The amino acid acetyl L-carnitine is naturally produced by the body for energy. The body uses this amino acid for optimal function of the brain, heart, muscles, and other processes of the body. This amino acid is used for a variety of disorders, conditions, and benefits. It is used for mental disorders, such as Alzheimer’s disease, memory loss, depression, poor circulation in the brain, and alcoholism. In addition, it can be used for cataracts, nerve pain due to diabetes and AIDS, and for the treatment of male infertility and low testosterone levels in men. The dosage of this amino acid depends on the reason it is being taken. When it is taken to enhance memory, the dosage is about 1500-2000 mg per day. A larger amount can be taken for the treatment of Alzheimer’s disease or depression in the elderly, up to 400 mg per day. This dosage is also given to improve sperm function and motility in men. When larger doses are taken, it may be divided into two daily doses. 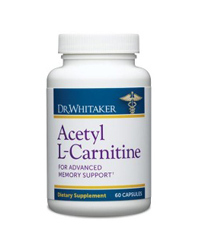 Acetyl L-carnitine is generally safe and has not been found to cause serious side effects. There are some possible side effects when taking supplements, such as mild stomach upset, nausea, and restlessness. The amino acid should not be taken during pregnancy, breastfeeding, or by people with an underactive thyroid. Advertisements can be found for brain enhancement supplements, but these are not the most reliable source of unbiased information. Product reviews can provide insight into the effectiveness of supplements before you spend your money. Our website contains product reviews of supplements that are designed for memory enhancement. We hope you will use this information to help you make an informed decision for your health.